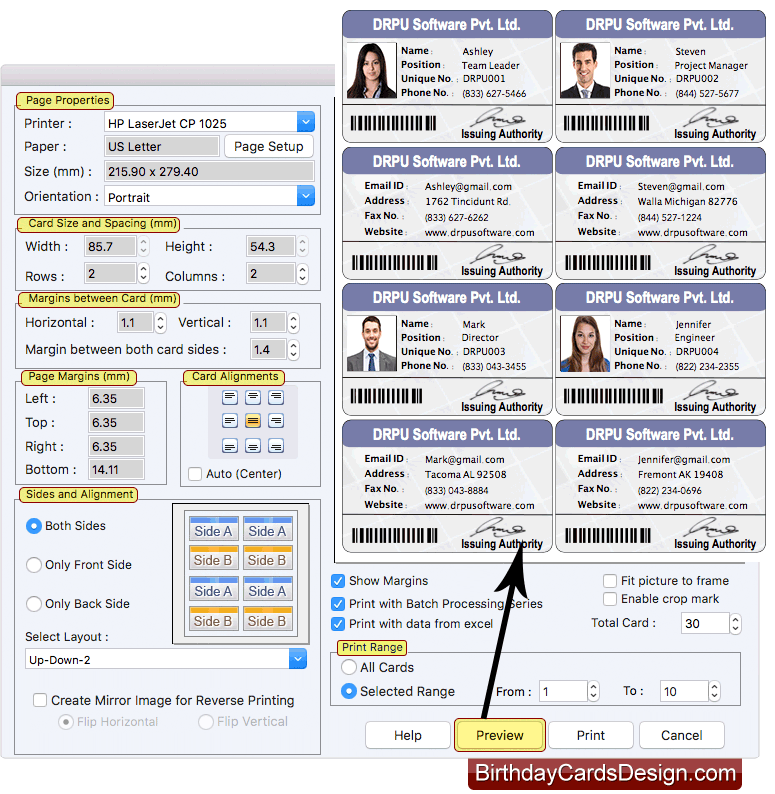 Software provides three modules to design ID cards. Choose any one module according to your requirements. Here we have selected 'Open with existing Design Log' module for demonstration purpose only. Choose any one existing log and click on Open button. 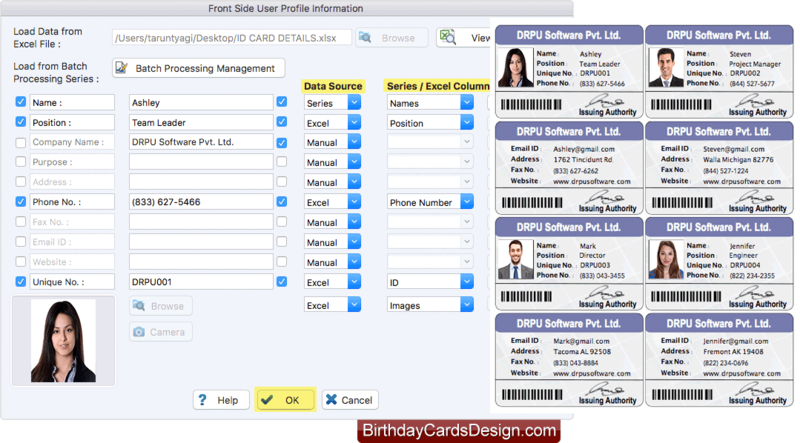 Program has batch processing and excel feature to generate multiple ID cards. Fill user profile information using series, excel, or enter manually. 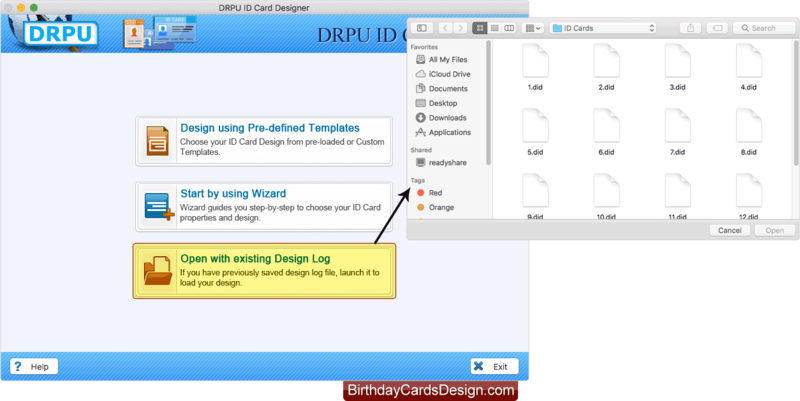 Design ID card using various card designing objects and card properties. Here you can see Front side of designed ID card. 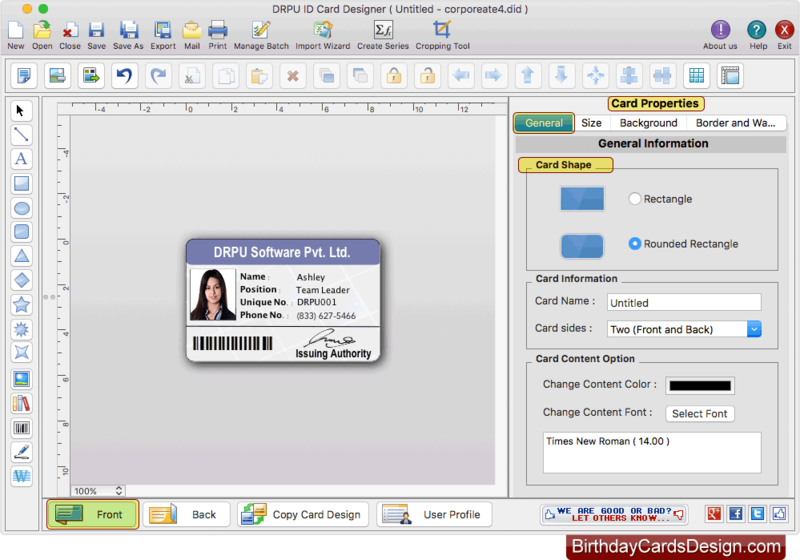 Adjust various print settings to print designed ID cards. You can see the preview of ID cards by clicking on 'Preview' button.